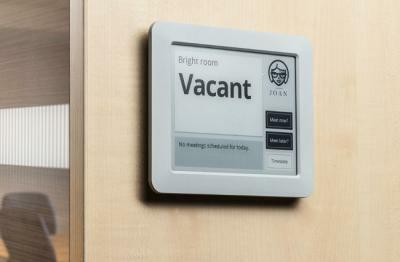 Visionect announced that it is expanding its Joan meeting room assistant lineup. The company now offers three different versions: the basic Joan Assistant with Wi-Fi and a non-touch display for viewing only, the Joan Manager that allows booking on the spot via a touchscreen and the Joan Executive that adds WPA2-EAP encryption to the Wi-Fi. Visionect now takes pre-orders for the new products, which will officially launch on October 1st. Joan Assistant retails for $279, Joan Manager for $349 and Jaon Executive for $399. E-Ink-Info get free shipping on all Joan versions, simply use the coupon EINKINFO20A9 when you checkout. You can also see how the different versions compare here. A report by the Taiwanese the Economic Daily News suggests that Apple requested display samples from E Ink Holdings, as the iPhone maker is considering adding a secondary E Ink panel to future devices. Even if this report is true, this is still a very early stage and can even indicate a testing request and nothing more. E Ink did not confirm the reports, of course, saying that "We are aggressively exploring business opportunities to use our e-paper displays as secondary screens on mobile phones". Stocks in E Ink Holdings soared to an almost four-year high following this report, though. In January 2016 Visionect launched its JOAN Meeting Room Assistant, and we're happy to announce that Visionect now offers free shipping for E-Ink-Info readers. JOAN uses a 6" E Ink Pearl panel to provide a beautiful calendar scheduling solution, connecting wirelessly to your calendar, and running on batteries for months between charges. JOAN costs €349 - to claim your free shipping, simply use the coupon EINKINFO20A9 when you checkout. JOAN can be a great way to spruce up your meeting rooms! 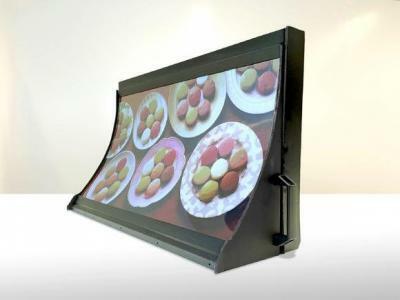 E Ink, in collaboration with TOppan Printing, developed a 32" flexible color E Ink display. The companies presented a first prototype, and the plan is to produce this display by the end of 2017. This is the largest color flexible E Ink ever developed. We already saw flexible 32" Mobius E Ink panels, but these were black and white. This display uses color-filters produced by Toppan. The display is 0.4 mm thick and it can be curved (it is not truly flexible by the end user). The companies say that this new display offer a higher color gamut compared to previous color E Ink displays. Canada-based Rakuten Kobo says that demand for its new 7.8" E Ink Aura One e-reader is very strong in Canada. The e-reader is "selling at a blistering pace in Canada" - and some locations have run out of stock. The Kobo Aura One is a large e-reader that sports a 7.8" 300 PPI E Ink display and is water resistant (IPX8, which means it can be submerged in 2 meters of water). Other features include a 1Ghz CPU and 512Mb of RAM. The Aura One weighs 230 grams and is only 6.9mm thick. The Aura One costs $229. E Ink developer Visionect partnered with German-based RoadAds Interactive developed e-paper based truck displays that provide location targeted advertising in real time. The system also display s GPS-triggered information such as traffic jams ahead, the distance to the next gas station, etc. RoadAds say that this system bypasses the traditional weaknesses of print advertising - long installation time and stale content. Of course the ads can be more relevant and location based compared to regular print ads. The E Ink displays are efficient and emit no light pollution - which makes them compliant with EU regulations. Smart Displays offers a new electronic shelf label (ESL) kit to help companies quickly develop ESL solutions. The kit includes three 2.9" Tri-Color (black, white and red) E Ink labels and two 2.1" monochrome E Ink labels. 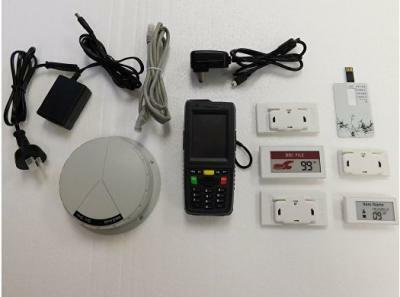 The kit also includes a bar-code scanner that can be used for wireless communication with the labels. Smart Displays' new kit costs $1,500 on Amazon.